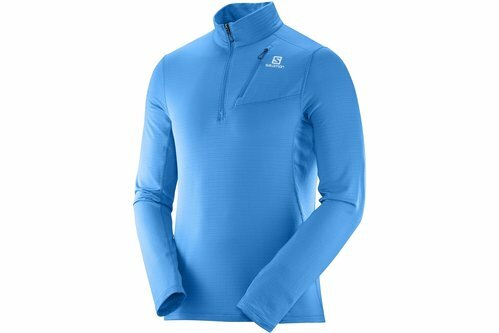 Run even further in this Men&apos;s Salomon Grid Half Zip Running Midlayer. It is crafted in a grid pattern that creates loft and breathability. Although it provides superior warmth, the vents allow for airflow through the midlayer, ensuring the wearer stays cool and comfortable. Moisture wicking technology pulls sweat away from the body so that you can stay dry and the look is completed with reflective detailing and Salomon branding.